In our last post of the year, we again have plenty of exciting research to feature, and would like to thank all the preLighters for their incredible work selecting and highlighting interesting preprints in a broad range of topics for the community. Early next year, we have two new ‘experiments’ coming at preLights, so stay tuned! Sundar Naganathan wrote about endoderm morphogenesis in Drosophila and how local transcription activation of myosin and coupled mechanical changes regulate it. Staying with this model organism, Ivana Viktorinova’s preLight questioned whether the century-old Hertwig’s rule (stating that cells divide along their long axis) is universally valid. The authors of the study showed that in a population of the epidermis this is not the case, and that the tension exerted by actomyosin contractility – rather than the length of the axis – determines orientation of cell division. The phenomenon of cell competition was initially described in Drosophila – in 1975 – and since then a number of its molecular details have been unravelled. This month, Rohan Khadilkar reviewed the inter-relationship between infection, the Toll-pathway induced innate response and cell competition. 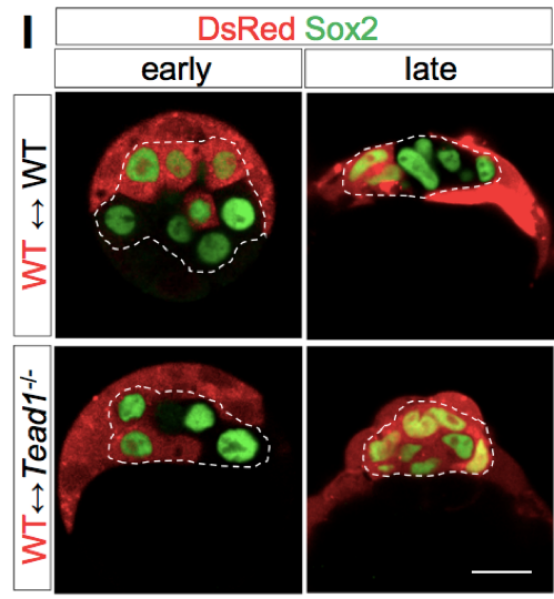 Sarah Bowling and Teresa Rayon explored a new role for this process during early mouse development, where unspecified cells are competitively eliminated during epiblast formation. Moving to zebrafish, Teresa Rayon wrote about scaling of morphogen gradients and a preprint studying how in embryos of varying sizes the patterning of the neural tube remains proportional. 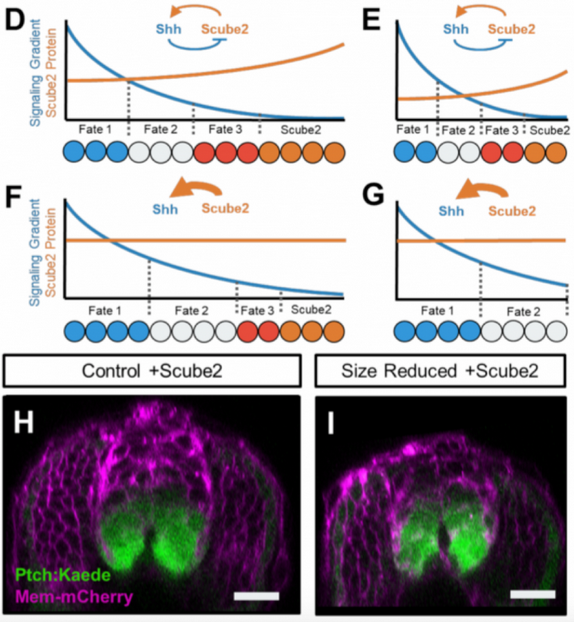 The authors found that Shh and a protein required for Shh release – Scube2 – form a feedback loop that allows proportional patterning. From the world of plants, an intriguing kind of growth pattern, root circumnutation, and its regulation by a novel histidine kinase featured in the preLight by Martin Balcerowicz. Sequencing the transcriptomes of individual cells in a tissue or organism has become a powerful way to gain new insights into development and disease and build valuable resources (watch out for the journal Development’s next special issue). A preLight by Leena Rasrado reported on mouse neural tube development at the single-cell level: with scRNA-seq, the authors unravelled the molecular mechanisms underlying spatial and temporal neuronal diversity. Rob Hynds highlighted a study on the differentiation of the respiratory epithelium by scRNA-seq. In another preLight, he covered how the analysis of scRNA-seq datasets from cancer cells can identify specific targets of T cells for immunotherapy. Hannah Brunsdon often highlights cancer studies in model organisms, this month she featured work from bioRxiv’s ‘confirmatory results’ category where two groups validated and compared zebrafish models of B cell acute lymphoblastic leukemia. The preprint Shikha Nayar wrote about combined single-cell transcriptomics with other ‘omics approaches to show that old fibroblast cultures are heterogeneous, and contain a larger proportion of ‘activated fibroblasts’. Remarkably, these cells secrete cytokines, which result in higher reprogramming efficiency. 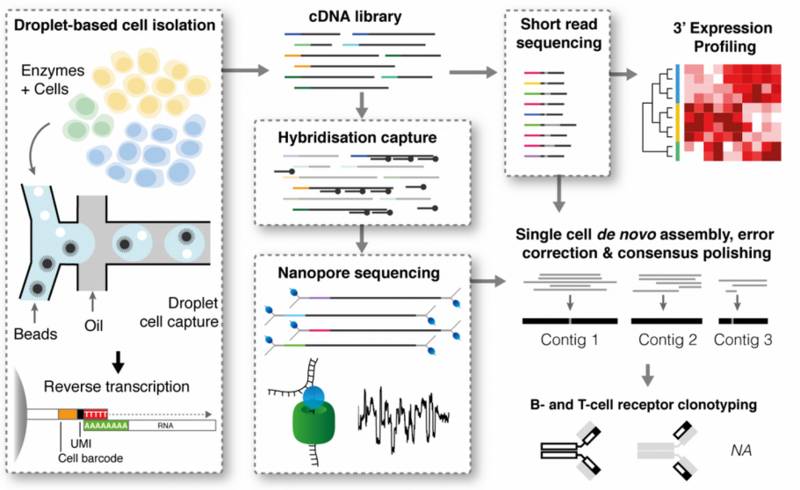 Finally, Samantha Seah covered two preprints that made important technological advances in droplet-based single-cell sequencing. The two new methods, RAGE-seq and DART-seq allowed researchers to capture sequence diversity at the 5’ end of a transcript and thus study the diversity of B-cell and T-cell receptors. Genome-wide association studies have been useful in linking genetic variants (mostly SNPs) to diseases, however the majority of these SNP-s fall into non-coding regions with potential regulatory functions. Jesus Victorino preLighted work from the van Steensel lab assessing on a genome-wide scale which SNPs can modulate expression of a reporter. Carmen Adriaens and Clarice Hong teamed up to highlight another preprint from this lab, which used massively parallel reporter assays to study features of gene repression in heterochromatin at the nuclear periphery. Heterochromatin was also at the centre of Gabriel Aughey’s post, which discussed how cell cycle speed during early embryo development in Drosophila sets the pace for its establishment. Visit the preLights website for much more – such as a highlight from Theo Sanderson about an emerging field of optics-free microscopy, or Ashrifia’s post on how favourable environmental conditions lead to an increase in languages spoken in a specific geographic area.